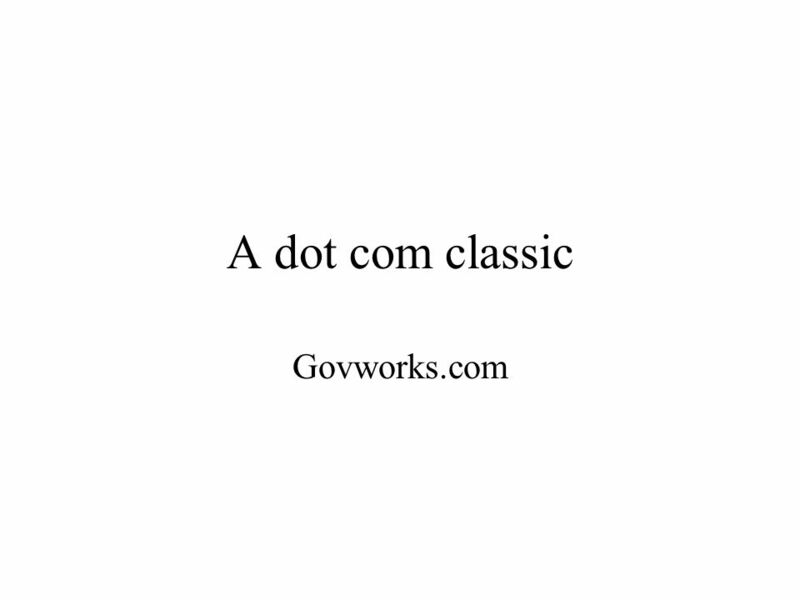 A dot com classic Govworks.com. 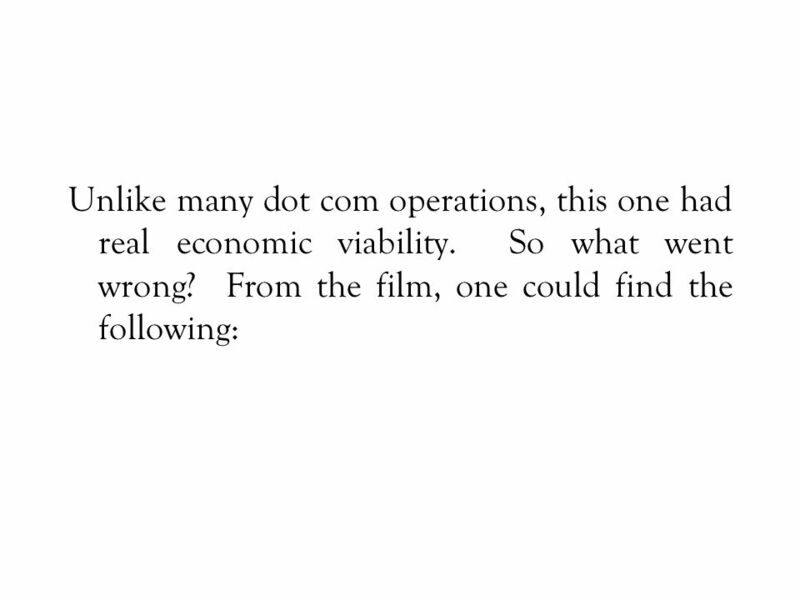 The “dot com” period is now seen as an historical aberration, the subject of a market phenomenon where the technologies. 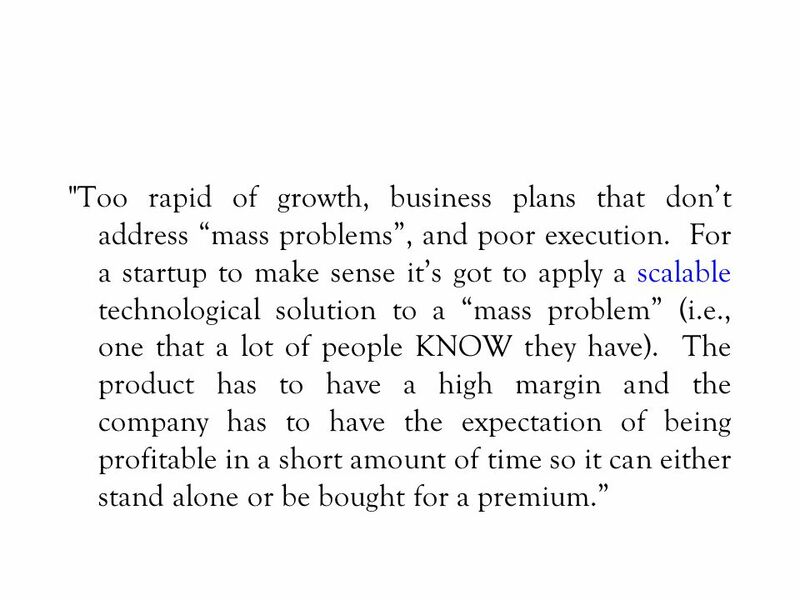 2 The “dot com” period is now seen as an historical aberration, the subject of a market phenomenon where the technologies behind eCommerce applied in innovative ways sparked enormous enthusiasm amongst investors who were afraid to miss the “next big thing”. 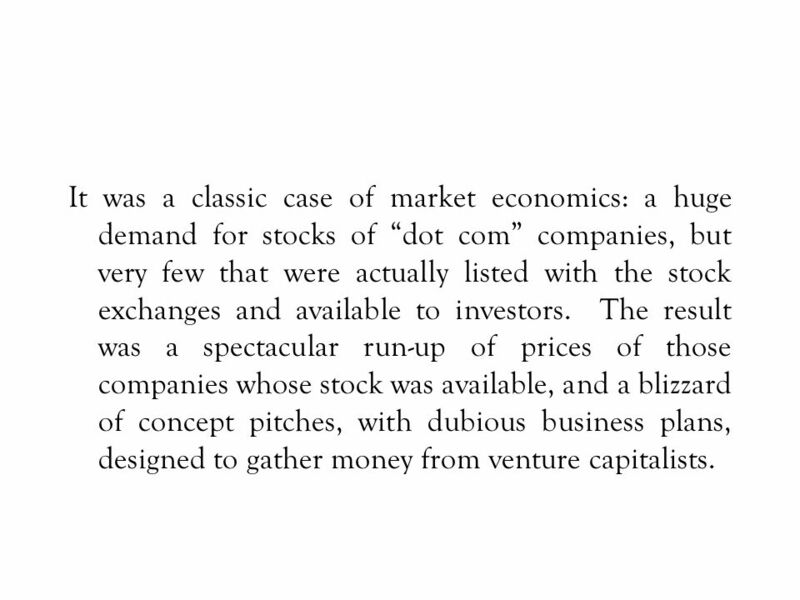 3 It was a classic case of market economics: a huge demand for stocks of “dot com” companies, but very few that were actually listed with the stock exchanges and available to investors. 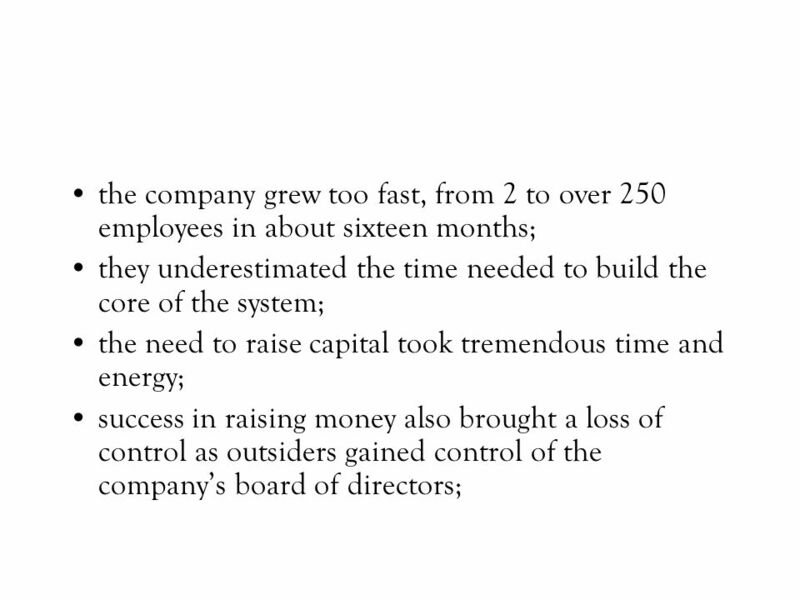 The result was a spectacular run-up of prices of those companies whose stock was available, and a blizzard of concept pitches, with dubious business plans, designed to gather money from venture capitalists. 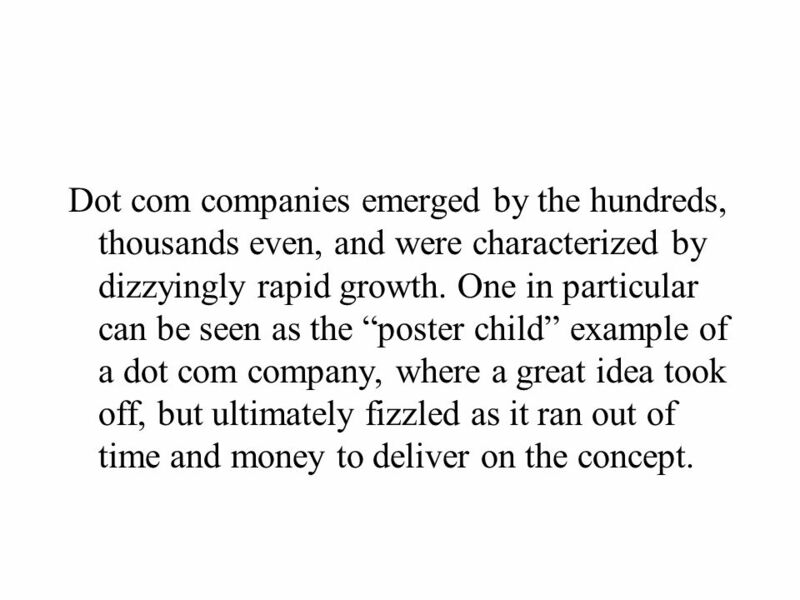 4 Dot com companies emerged by the hundreds, thousands even, and were characterized by dizzyingly rapid growth. 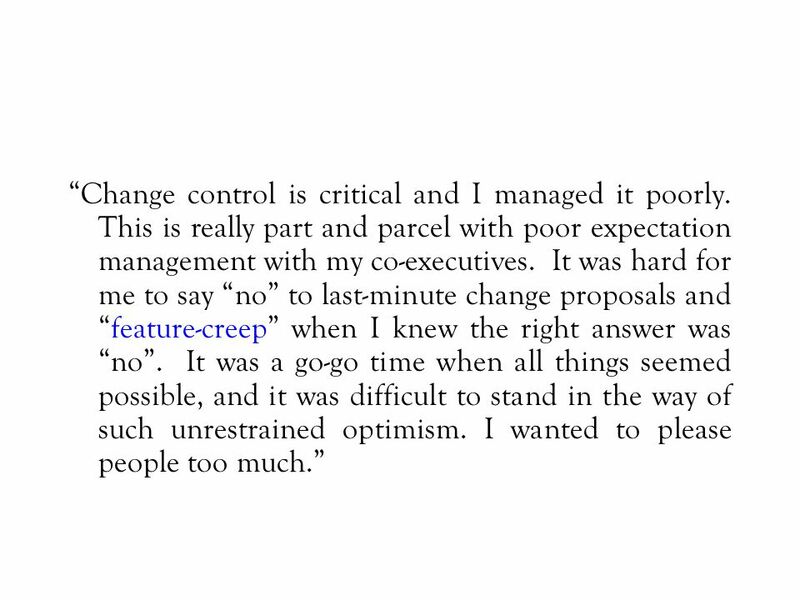 One in particular can be seen as the “poster child” example of a dot com company, where a great idea took off, but ultimately fizzled as it ran out of time and money to deliver on the concept. 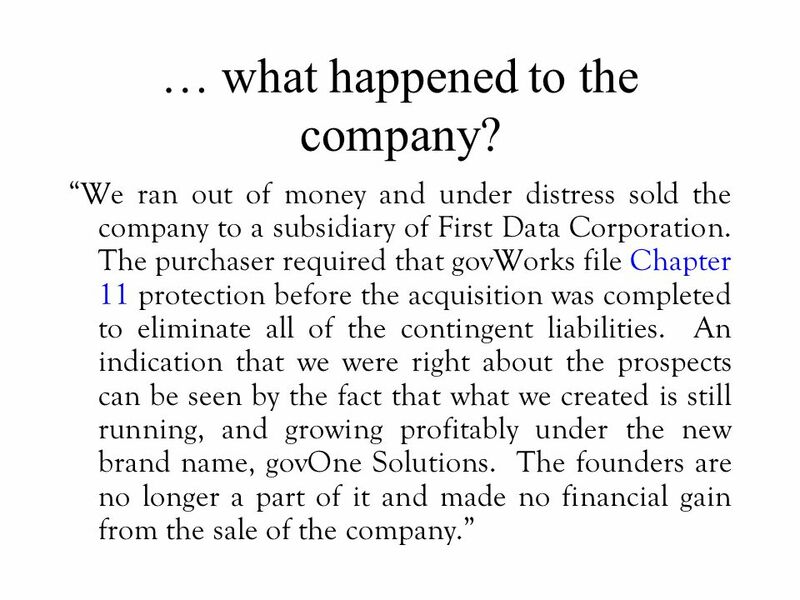 5 That company was govWorks.com, and the reason it became so famous is that a documentary film team chronicled it from the moment of its inception to its final failure. 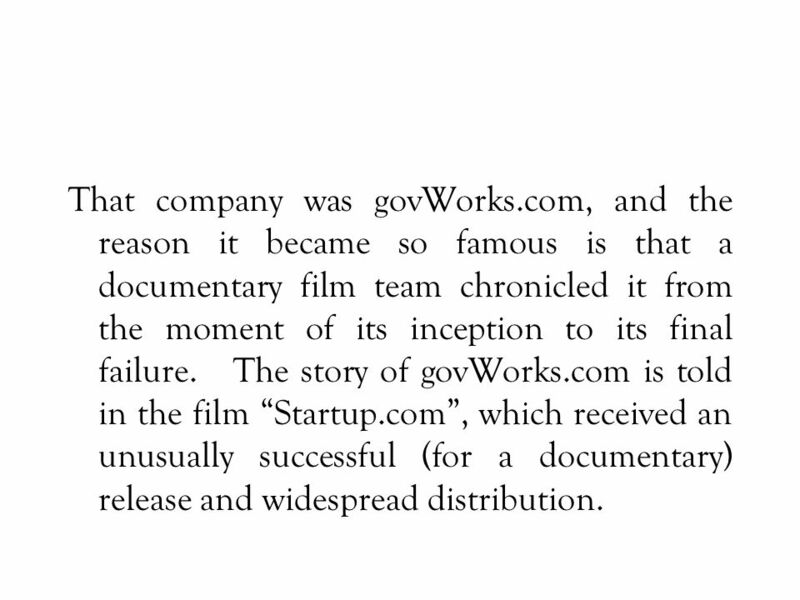 The story of govWorks.com is told in the film “Startup.com”, which received an unusually successful (for a documentary) release and widespread distribution. 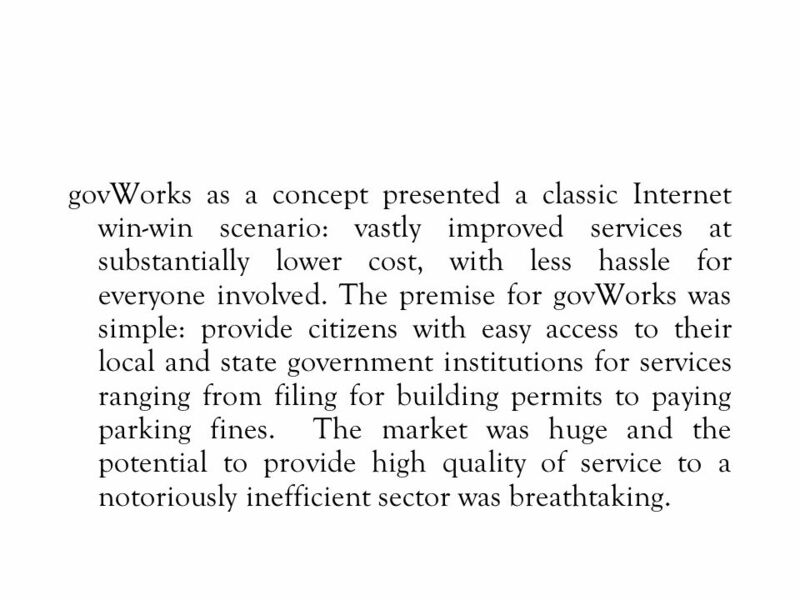 6 govWorks as a concept presented a classic Internet win-win scenario: vastly improved services at substantially lower cost, with less hassle for everyone involved. 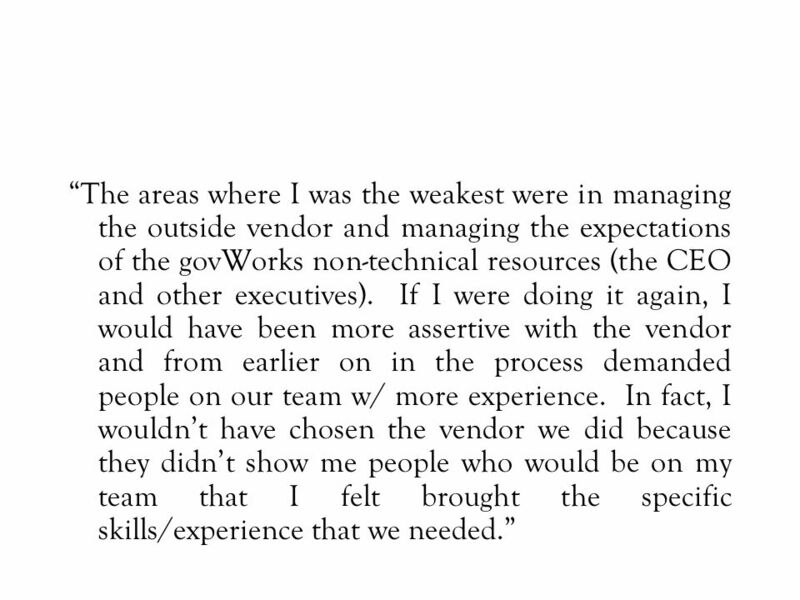 The premise for govWorks was simple: provide citizens with easy access to their local and state government institutions for services ranging from filing for building permits to paying parking fines. The market was huge and the potential to provide high quality of service to a notoriously inefficient sector was breathtaking. 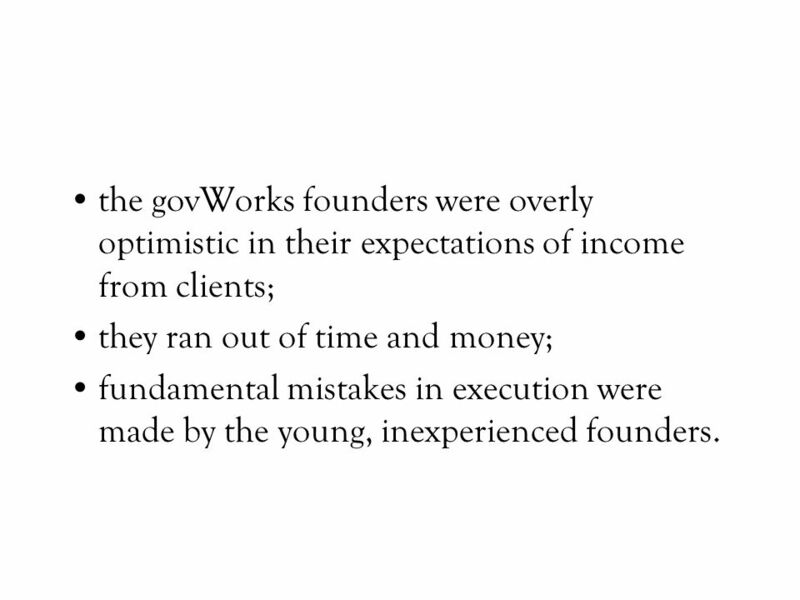 9 the govWorks founders were overly optimistic in their expectations of income from clients; they ran out of time and money; fundamental mistakes in execution were made by the young, inexperienced founders. 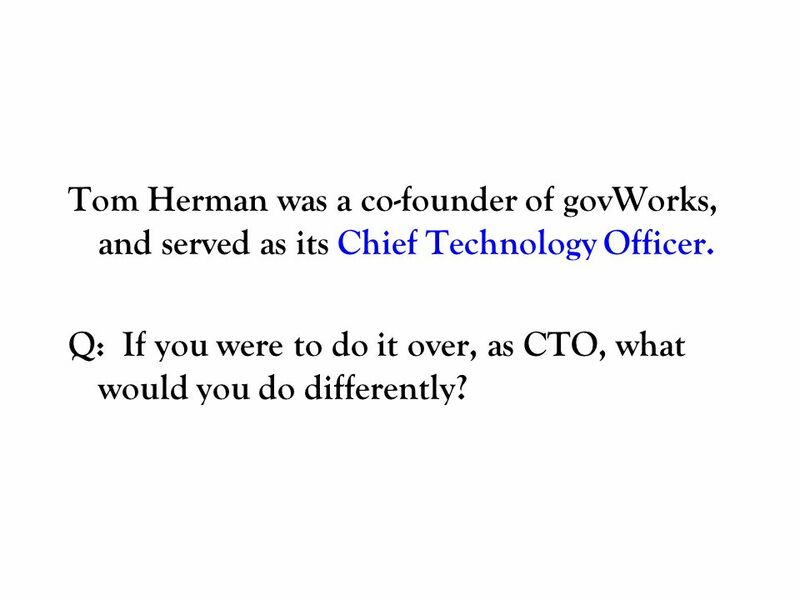 10 Tom Herman was a co-founder of govWorks, and served as its Chief Technology Officer. 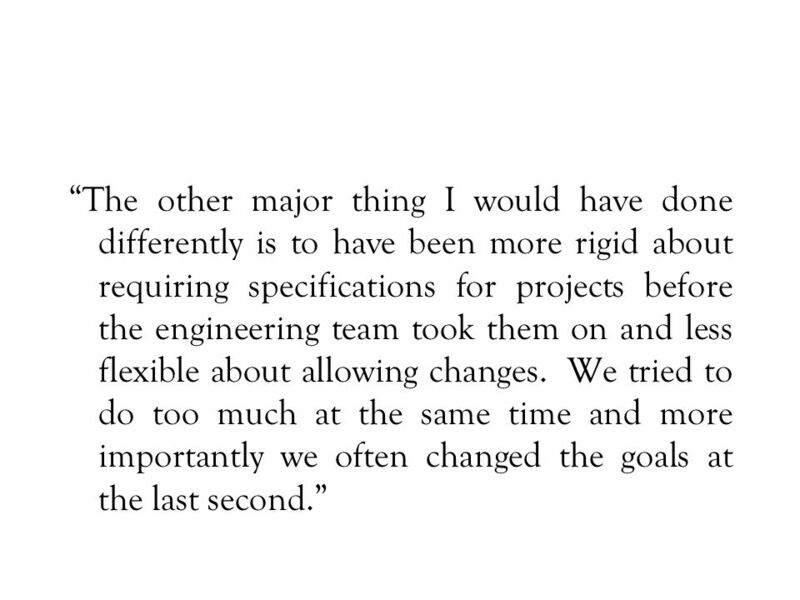 Q: If you were to do it over, as CTO, what would you do differently? 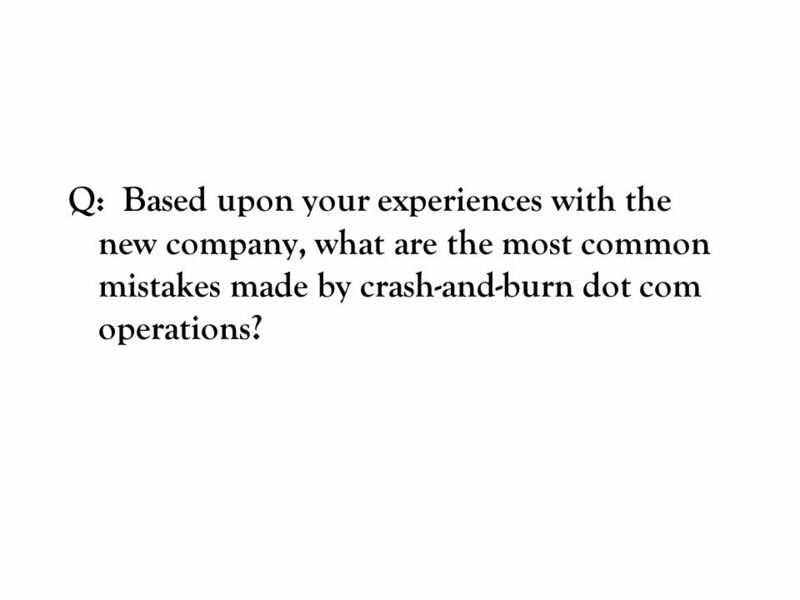 15 Q: Based upon your experiences with the new company, what are the most common mistakes made by crash-and-burn dot com operations? Download ppt "A dot com classic Govworks.com. 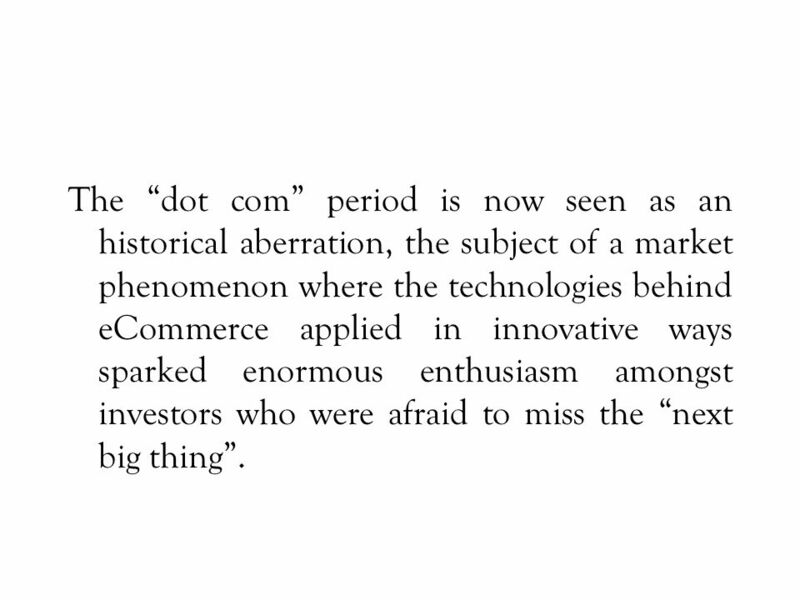 The “dot com” period is now seen as an historical aberration, the subject of a market phenomenon where the technologies." Practical issues involved in the commercialization of B2B HITECH products onto the global market By Tomas Rosin, CEO TRIDARA International Ltd.
Understanding Current Farmland Values and Risks March 10, 2011 FDIC Symposium Don’t Bet the Farm: Assessing the Boom in U.S. Farmland Prices by Brent Gloy. Corporations & Bankers Big factories have now replaced small factories = cheaper goods, faster service Railroads distributed these goods across the nation. Presented by: Don Thibert B. Comm.. A one year program is $12,000. You earn $12,000/12 months or $1,000/Month. Or $12,000/52 weeks or $230.77/Week. Entrepreneurs discover an entrepreneurial opportunity when they find a compelling solution to an unsolved problem or unsatisfied need. The first step. ...My future is Bright Financing Entrepreneurial Dev.- Business Plan & Investor Pitch Presented By: ‘Bunmi Lawson.